Hundreds of hours of raw material shot by Nathan Axelrod, a pioneer of Israeli filmmaking before the State of Israel who documented the building of the Jewish Yishuv in Palestine – are the building blocks of the film before us: Meir Dizengoff riding his horse, Hannah Maron as a young girl trying to sell us shoelaces, the inauguration of the new port in Tel Aviv, settlers breaking ground in Hanita, the Habima Theater and Hannah Robina, the stars of the Matateh Theater, two kids tap-dancing, Ben Gurion and Shlonsky`s hair-dos, a Tel Aviv soccer match, the illegal immigration, scenic shots (swamps and desert), and more and more from the never-ending treasures of the "Carmel Films" archive. 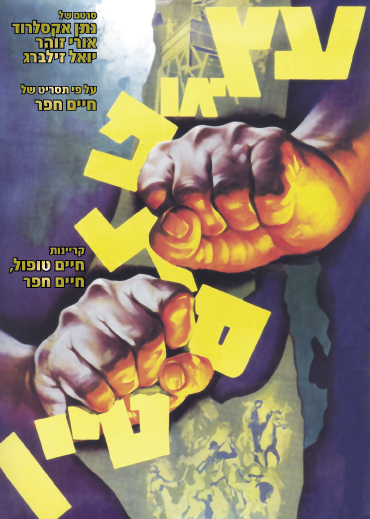 In making Etz o Palestine, Axelrod and his partners, Yoel Zilberg and Uri Zohar, aided by Haim Hefer`s narration (read by Topol), reflect the spirit of innocence in the days before the Six Day War. 46 years since it was first screened in August 1962, the freshness of the film still remains and even young audiences will be able to enjoy this gem that is presented in a new print fresh out of the lab.